Kasper had a phenomenal 2018 so far and saw praises from some of the biggest names in the scene including Guy J, Hernan Cattaneo, Nick Warren, John Digweed and many more! His latest outing on Plattenbank „Ground" even saw him entering the TOP 5 in Beatport´s Progressive House Charts! This two track EP will certainly be another stepping stone on his way to the top. Exceptional production skills, an outstanding feeling for groove and melodic subtlelty lay the foundation to Kasper´s jaw dropping debut on YOMO! 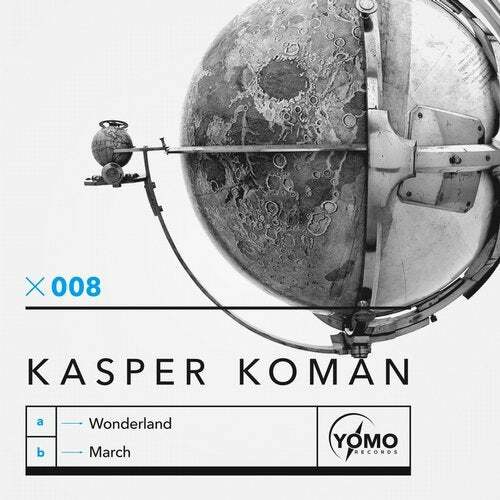 But no more words needed, just lean back and let Kasper take you on a journey to deep progressive heaven with WONDERLAND and MARCH!